October 3, 2013 — Johnny Eck was a freak. But not just any old freak, a Tod Browning freak. Eck was one of the actors in the 1932 film Freaks. This was the movie Tod Browning made right after directing Bela Lugosi in Dracula. It’s the story of how a bunch of sideshow performers and body oddities react to being treated as less than human. Browning cast actual sideshow performers and body oddities in the pic, and it basically ended his career because it was, well, pretty freaky. 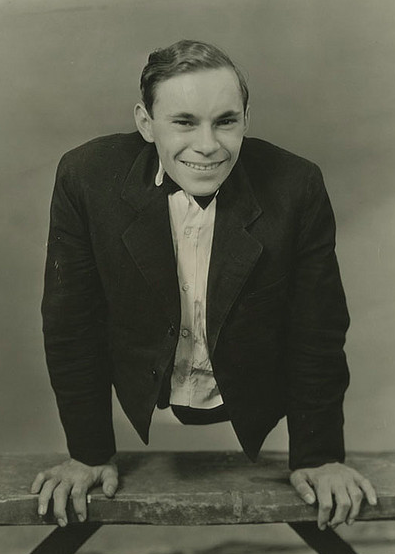 But it introduced many of us to Johnny Eck, who played the minor role (at least after the censors forced some drastic edits to the film) of the Half Boy. Eck was a handsome guy and talented. Almost always dressed in a tuxedo. It’s just that his body stopped somewhere in the vicinity of his cummerbund. But Johnny Eck was more than one movie. He was a pretty astonishing guy in general. And I’ve gotten to see a few things connected with him over the years. 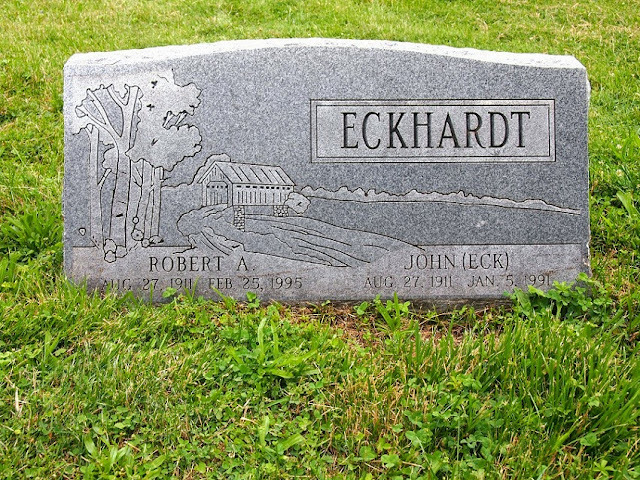 He was born in Baltimore in 1911 as John Eckhardt alongside his twin brother Robert. Robert was born healthy, but Johnny had sacral agenesis, a condition that messed up the lower half of his spine. For all intents and purposes, Johnny Eck stopped at the waist. Apparently he did have a seriously malformed bottom half, but he hid that with specially made clothes so that his body looked like an optical illusion. He spent most of his life doing sideshow acts, and made the rounds with some of the biggest names in that game, including Ripley and Barnum, post Ripley and Barnum. And while he couldn’t play hacky sack, there was little else that he couldn’t do. He was famous for being able to move about and balance himself on his hands, and he spent most of his life in the entertainment industry. A couple of years back, I got the privilege of seeing one of his show costumes while visiting the private collection of artist Joe Coleman in Brooklyn for The New York Grimpendium. 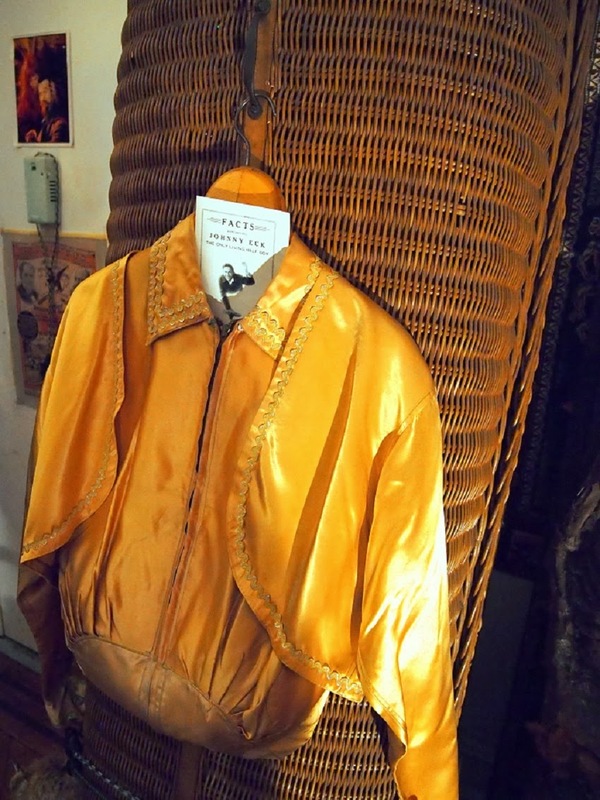 It was a gold shirt and cape, sewn shut at the bottom like it was meant to hold sand or something. Joe pointed it out to me when he found out I was from Maryland. At the time, I knew Eck was from Baltimore, but the knowledge hadn’t yet penetrated that part of my brain that turns useless knowledge into the potential for a memorable experience. However, when Joe showed me the shirt, Eck became more a goal to me than a historical figure. So, a few months back, when I found myself in Charm City with some time to kill, I took the chance to see both his house and his grave. Eck’s house is located at 622 North Milton Avenue. 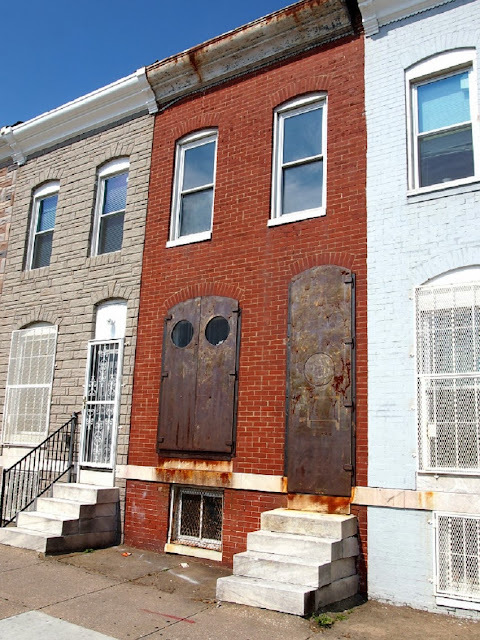 It stands out from its fellow row houses because of its red-brick façade and the fact that it’s obviously derelict. Rusty sheets of metal over the door and first-floor window attempt to bar entry to vandals and squatters in a neighborhood with a high probability of both. It wasn’t always that way. 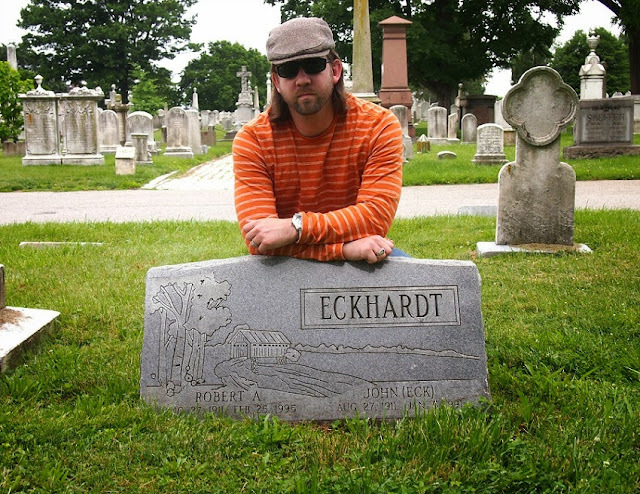 Eck lived there with his brother most of their lives (it was their childhood home), and used to sit there on the stoop and play games with kids and talk to fans of Freaks who would come by after the movie started to gain status in the horror community. But all that stopped when he and his brother became the victims of a home invasion as the neighborhood worsened. After I took a picture of the place, I walked past two old black men sitting on a neighboring stoop, “How much is that house going for?” one of them ask me. Real estate was the only reason he thought somebody would come down to take a pic of a house in his neighborhood. I explained Johnny Eck to him and his friend. “Like he stopped, right here,” I said making frantic sawing motions across my waist with my hand. They didn’t seem interested. I must’ve explained it badly. His grave is two miles away in Green Mount Cemetery on Greenmount Avenue. You can find it in Section R, close to, but facing away from the path. The first picture in this post is a pretty good visual reference of its surroundings, minus the legless blind guy that's blocking most of the pic. This cemetery gets cooler every time I visit it. The first time was for the grave of John Wilkes Booth. I returned when I found out about a grave shaped like a Ouija Board above the remains of the man who invented it. Eck is the cake-topper. He died in 1991 at age 79, four years before his brother. Both share the same plot and headstone, which is pretty conventional for such an unconventional man. It depicts an idyllic, very un-Baltimore-like pastoral scene with a covered bridge. The type of landscape you’d want to run full-tilt through. Even if it was on your hands.